The Stephen H. Goddard Study Center offers an intimate environment for students, researchers, and community members to examine original works of art in the Spencer’s collection with guidance from Museum staff. Introduced as part of Phase I renovation, the Study Center expanded the former Print Study Room and is named in honor of Curator of Works of Art on Paper Dr. Stephen H. Goddard, who joined the Spencer staff in 1984. 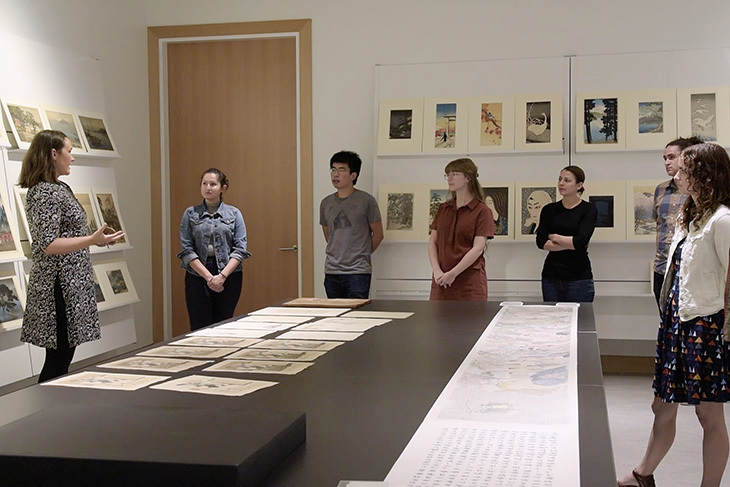 Designed for small groups of students and scholars, the Study Center is ideal for scheduled visits from University classes or community organizations interested in exploring works of art that address a specific topic or curricular theme. Anyone can visit the Study Center during Walk-ins Welcome Fridays—no appointment necessary! Visitors are invited to drop in on Fridays between 10am to Noon and 1pm to 4pm to request works on paper from our collection. 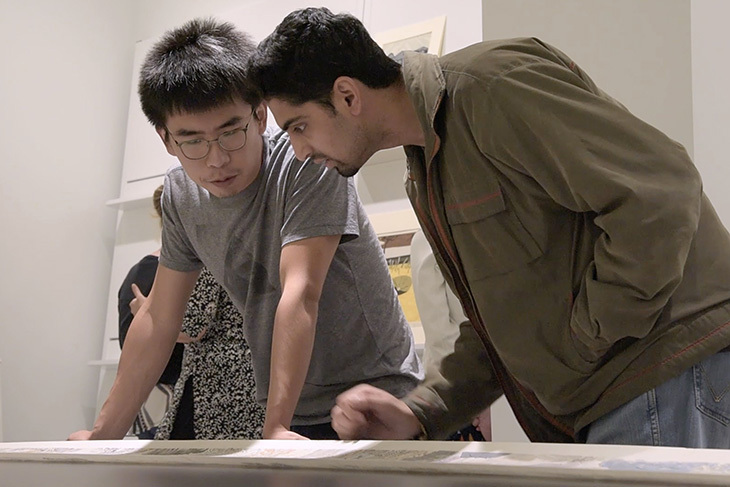 For questions about the Study Center, contact the Assistant Curator for Works on Paper.